We don’t know how large the market is for index cards, filing cabinets and pocket calendars – the tools that sales forces and customer service reps once used to manage customer and client information – but we do know that customer relationship management (CRM) software is projected to be a $35 billion dollar business by 2017. That clearly shows how businesses, large and small, manage their databases, marketing and customer service in the 21st century. 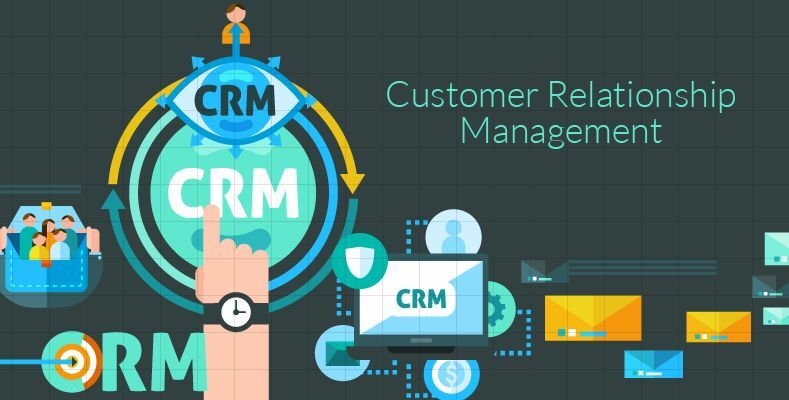 Most of the CRM solutions on the market will allow you to handle all of the basics of customer and sales management. However, some are more suitable for the demands of larger companies while others are better suited for smaller operations which simply need to computerize a few of their most important functions. We’ve chosen “size” as the parameter for our look at the top CRM software on the market in 2015. This is the big name in the CRM space (with almost 15% of the market) and an outstanding choice if you don’t mind that it operates primarily in the cloud. The interface is easy to navigate, highly organized and completely customizable; it’s simple to manage every CRM function you might need from contact management to lead generation, from quoting and forecasting to drag-and-drop report creation. Salesforce allows for full workforce interaction as well, with chat, file and information sharing and a real-time social news feed, plus a full-featured mobile app. There’s also the ability to import and export data and interface with a host of outside business apps such as data.com, AdWords and desk.com. The only real drawback is the price, $65 per user once you get above five users – but for a large business it’s a small price to pay for the functionality and performance you receive. Smaller businesses mostly concerned with the core functions of a CRM are well-served by Insightly, which performs them at a high level. The contact, project and business management sections are full-featured and intuitive; a few of the nice features you won’t find in many competitors are the ability to automatically add all of a contact’s social media data to their profile, complete integration with major Google services, Office 365 and QuickBooks Online, and project management capabilities on a par with some of the best dedicated project management software. There’s also a full range of mobile apps. If you’re looking for the ability to produce a huge range of customizable reports, though, that feature is a bit lacking. Pricing is one of the things that makes Insightly a great choice for smaller companies, with a free version available for 1-3 users, and pricing starting at just $29 per month for each user after that. Here’s what a startup wants to hear: Zoho is free for up to ten users, and it’s easy to upgrade to a paid version (starting at $12 per user per month) if your company starts to do well. While the interface is a bit awkward compared to our other choices, Zoho provides almost all of the CRM functions any small business would need including lead generation, contact management, task automation and workforce collaboration, and mobile apps are available. It also integrates with other Zoho products as well as QuickBooks, Google Apps and Outlook. When you don’t want to waste your valuable seed money on software functions that can be duplicated for free, this is the CRM to check out.